This is an upgraded version of the popular Korean dash camera Itronics ITB-100HD. Improvements include a reduced boot time of 15 seconds, and the upgraded version records Full HD resolution at 30fps instead of 24fps like its predecessor. Furthermore, a voice option has been added that informs the driver of any relevant status updates. Despite the low bit rate of 6 Mbps, this camera records decent video during the day time. Night video quality is also good, however there is a little bit too much glare from external light sources for a camera of this price category. In both cases, image quality is not quite as good as with other cameras near the upper end of the price spectrum. The camera has in-built GPS and of course it doesn’t lack the standard dash cam features like G-sensor, loop recording, date/time/speed stamp, and parking mode, either. There’s no screen, so the camera is quite small, with a stylish form factor. The ITB-100HD SP can be considered one of the more discreet car DVRs out there. With operating temperature going from -20 to 70°C (-4°F to 158°F), there shouldn’t be any issues with your camera melting in the heat even in a parked car during summer. Also, the AV port and power adapter port are situated quite close to each other and are similar in size, so care should be taken not to accidentally plug your power adapter into the video port which could damage your device. 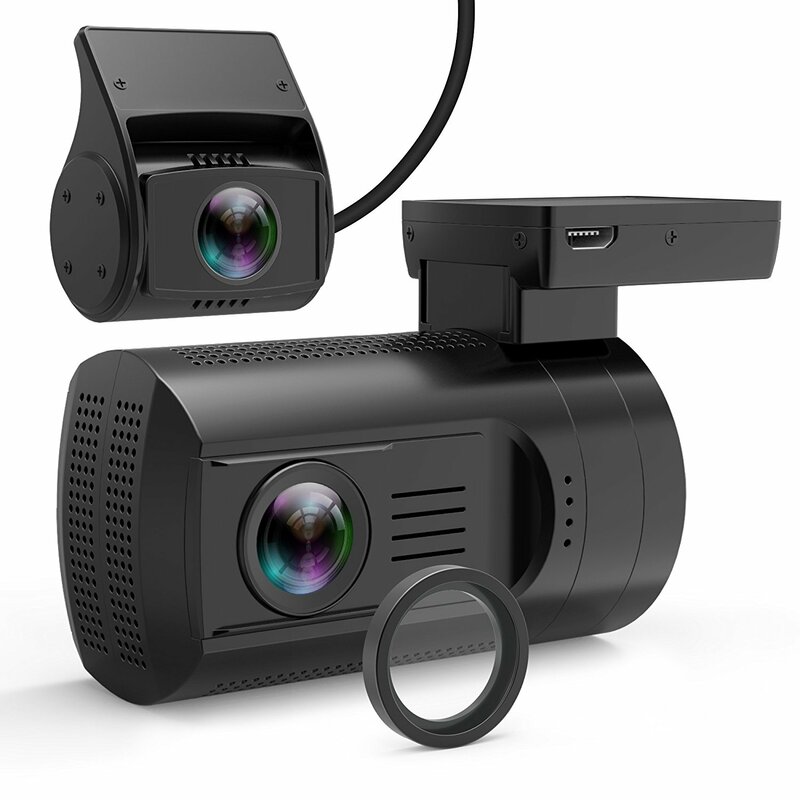 In summary, this is certainly a high quality car camera, however considering the price, you may want to get a FineVU CR-500HD instead, which has even better video quality. Daytime video quality is quite good, however it does look slightly blurry and details are not quite as visible as with other dash cams in this price range. License plates are difficult to read from a distance. While night video quality is not exactly bad either, again there is a lack of detail that makes it hard to read other car’s license plates, no doubt due to the low bit rate of this camera. Other cameras in this price range, like the BlackVue DR500GW and the FineVU CR-500HD, offer better video quality. The ITB-100HD SP Smart Plus is no longer available.